4. 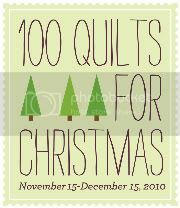 Post a picture of the quilt on any of three link-up days, and of course there will be prizes! Except today is the last link-up day, and despite knowing about this for a month, I'm behind on everything. 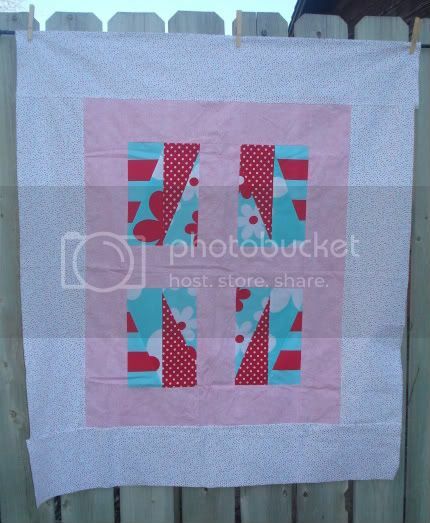 Quilt top has been done for ages, and this link-up inspired me to get it out and get it done. It's made of Michael Miller Lil' Plain Jane Daisies, Michael Miller dots and stripes, pink something-or-other from Hobby Lobby, and dotted flannel of some sort. Will be on its way to OKC's Project Linus by Wednesday. In honor of Lori Barbely Photography, who donated the Michael Miller fabrics.